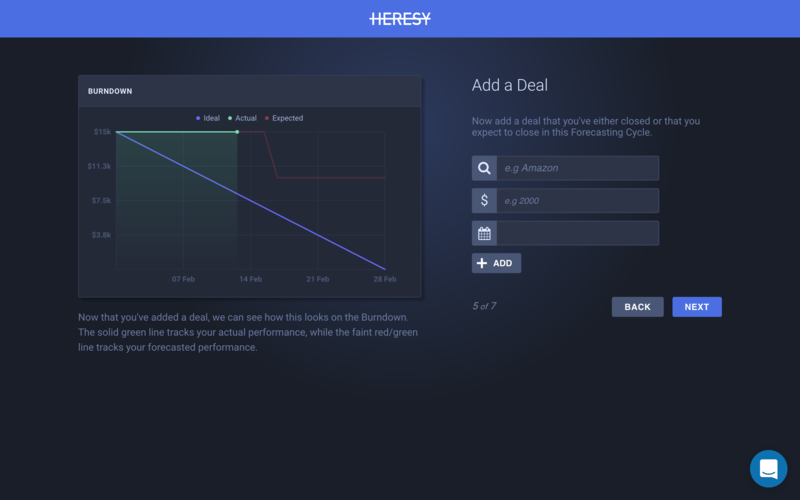 Heresy is an agile sales platform that helps sales teams easily work together to meet goals. 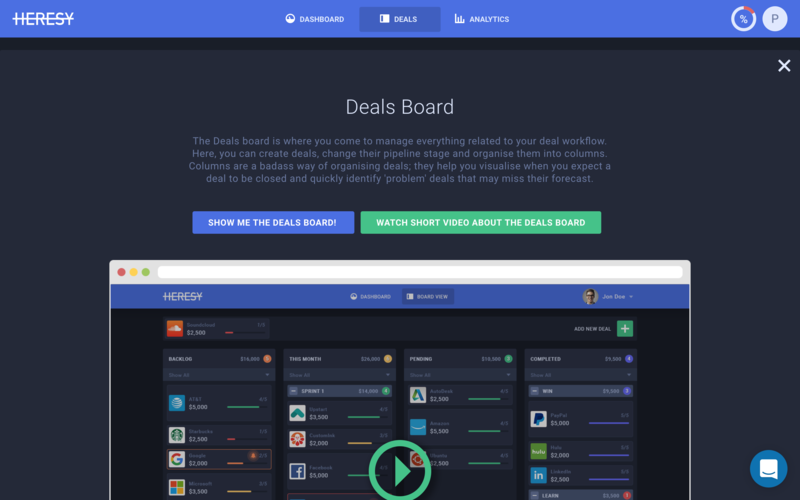 As a sales management tool, Heresy is focused on analytics and goal tracking. 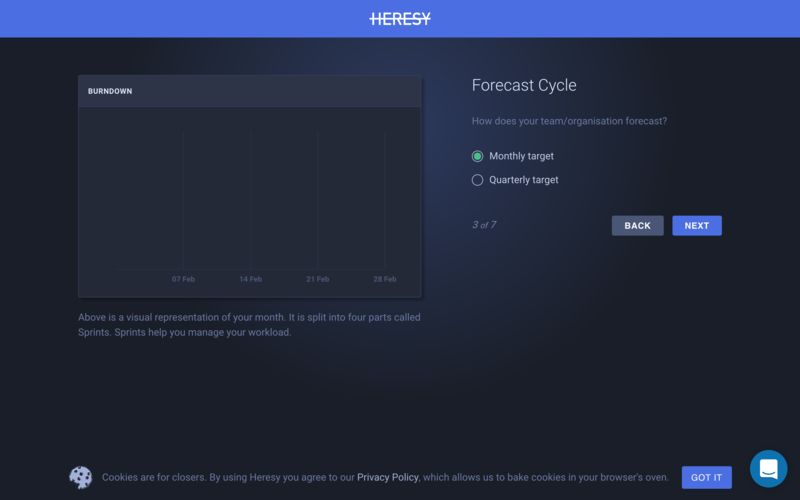 By entering sales forecast data into the Heresy's sales management platform during onboarding, first-time users are able to see how the tool can help them succeed. 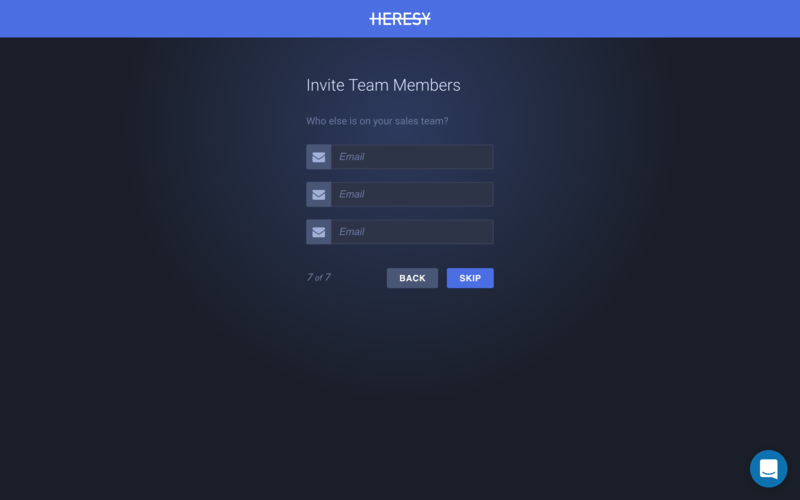 As Heresy walks new users through the multistep onboarding process, each question is accompanied by an explanation. Users can enter their data and then see, side by side, a visual representation and a written explanation of what each feature will look like in the tool and how it should be used. 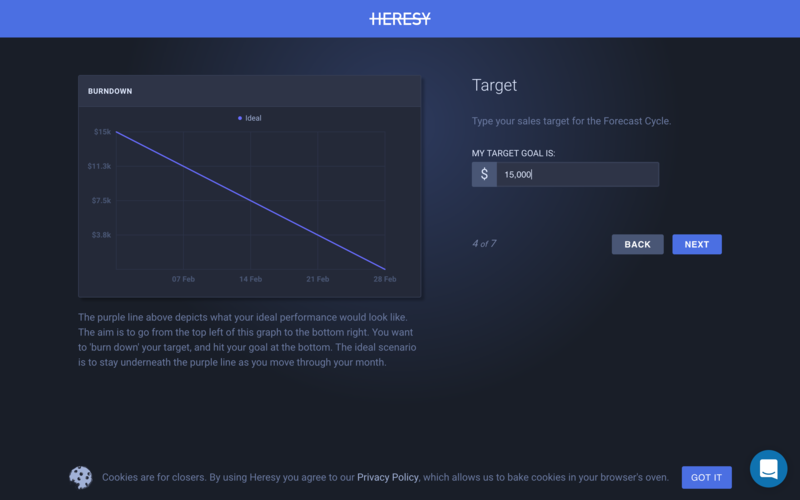 Heresy's platform is somewhat fixed, but they still leave room for customization where it's important. 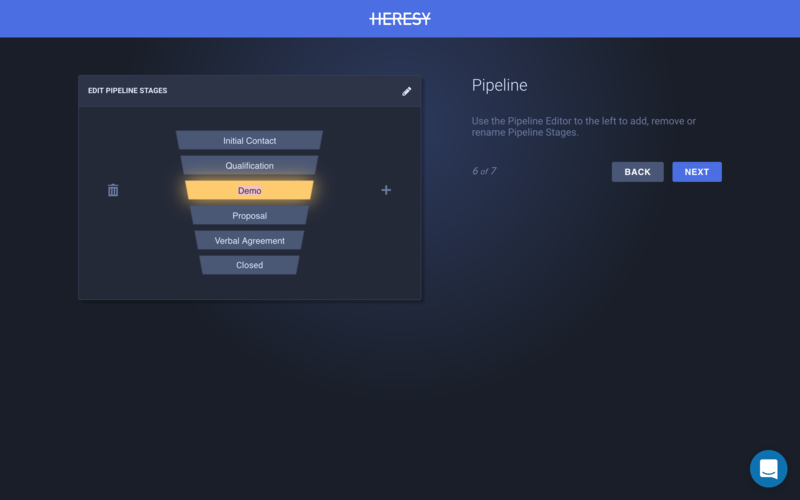 Giving new teams the option to rename and reorganize the sales funnel to fit their own process empowers new users to push forward their own strategy in a way that Heresy will complement and elevate. Once users finish entering their data, they are given the option to watch a video to learn more, or they can head straight to the dashboard. After asking users to complete several steps before, giving this option will allow more hands-on users to forgo sitting through a video.